Hey there crafty friends! I am here today to show you this adorable patriotic drawstring bag in crochet! This particular bag is a custom design, with an embroidered monogrammed American flag star, the drawstring is braided with wooden beads. 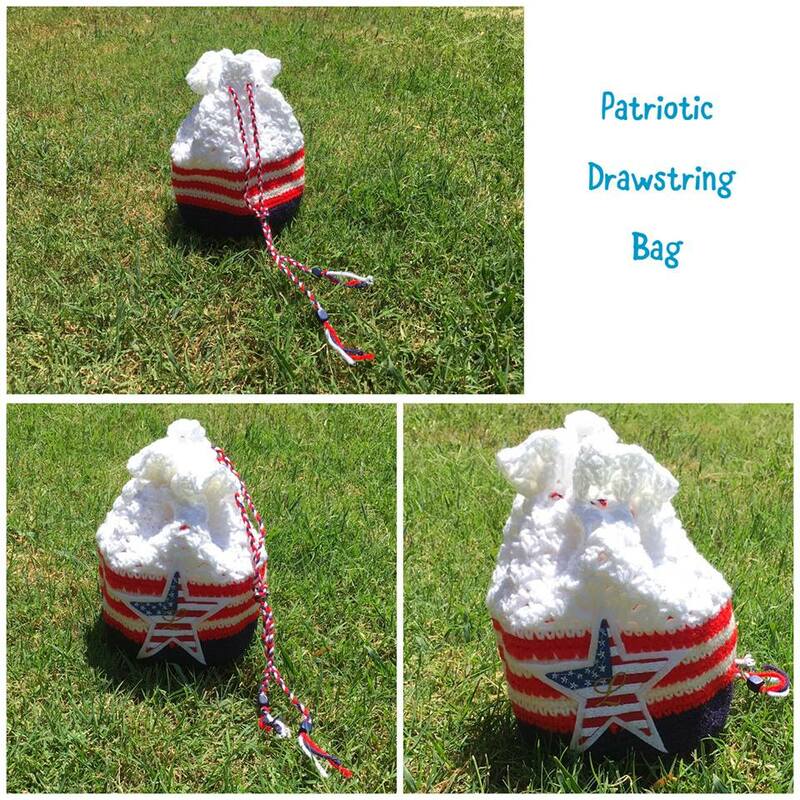 I totally enjoyed making this bag using Red Heart yarn in Red, White and Blue. This bag was made for my crochet swap partner in the Friendship Crochet Swap group on Facebook. I hope she likes it as much a I do!